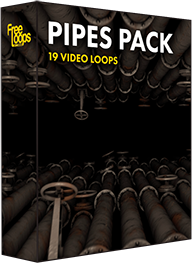 Explore a group of rusty pipes from all angles in this motion graphic. A nice VJ loop for raw and heavy hitting music themes. The right choice for your video production, this video loop, expand your options by adding this video to your set.